Fall feels like a special time thanks to its moderate temperatures and the colors of the changing leaves. Even better is the range of new fashion styles that come with it. 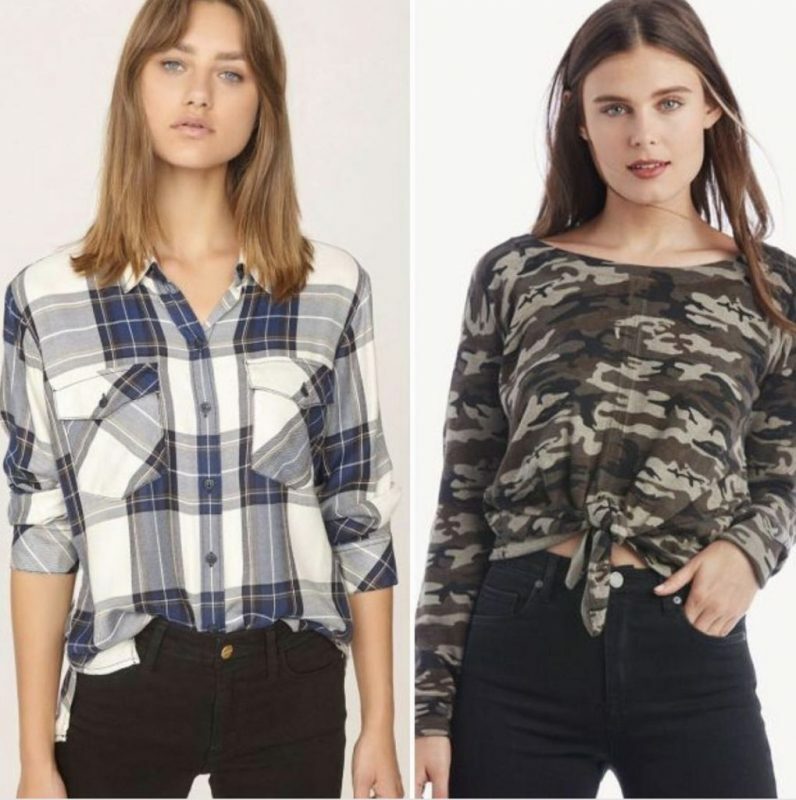 We’ve picked out some of our favorite on-trend fall fashion pieces you can find at our North Bethesda store to get you ready for the season. For a luxuriously comfortable look, our Sofia Silk Tops are the perfect summer-to-fall transitional staple. Each Sofia Silk Top is handmade and dyed in Italy. The material is an Italian silk chiffon and comes with a soft jersey lining. Pair with jeans for a look that’s effortlessly stylish and sophisticated. We’re in love with this plaid dress by Sanctuary, which is right on-trend for fall. Plaid is always popular during the autumn months, but it’s really having a moment in 2018. The incredibly soft material and flattering cut make this dress a perfect wardrobe staple that can last all season. This stylish piece can be worn on its own or with leggings and boots for a complete look. We just can’t get enough of these on-trend tops from Sanctuary that combine comfort and stylish prints for a fresh and easy-to-wear look. One of the season’s biggest trends is camouflage, and Sanctuary has taken a twist on the trend with this trendy tie-front camo top. When paired with leggings or jeans, this top will do anything but make you blend into the background. For a timeless fall look, you can’t go wrong with this white, grey, and blue plaid top by Sanctuary. Add some skinny jeans and use a French tuck to create an effortlessly stylish statement. We’re head over heels in love with Trina Turk Dresses. With a variety of bold patterns and flattering cuts, these pieces can be worn for any occasion. 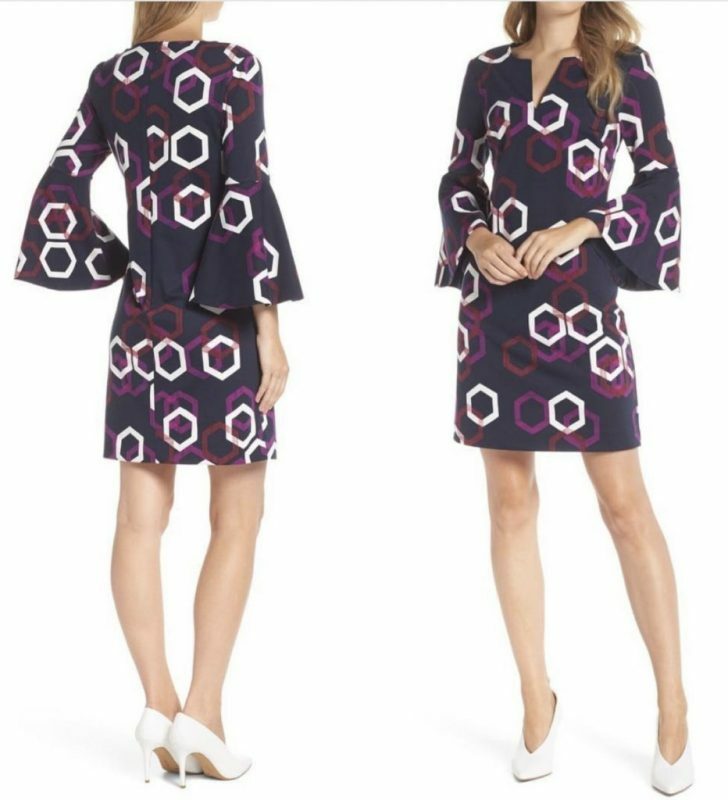 Trina Turk’s designs transition well from day to night and perfectly encapsulate the changing season. 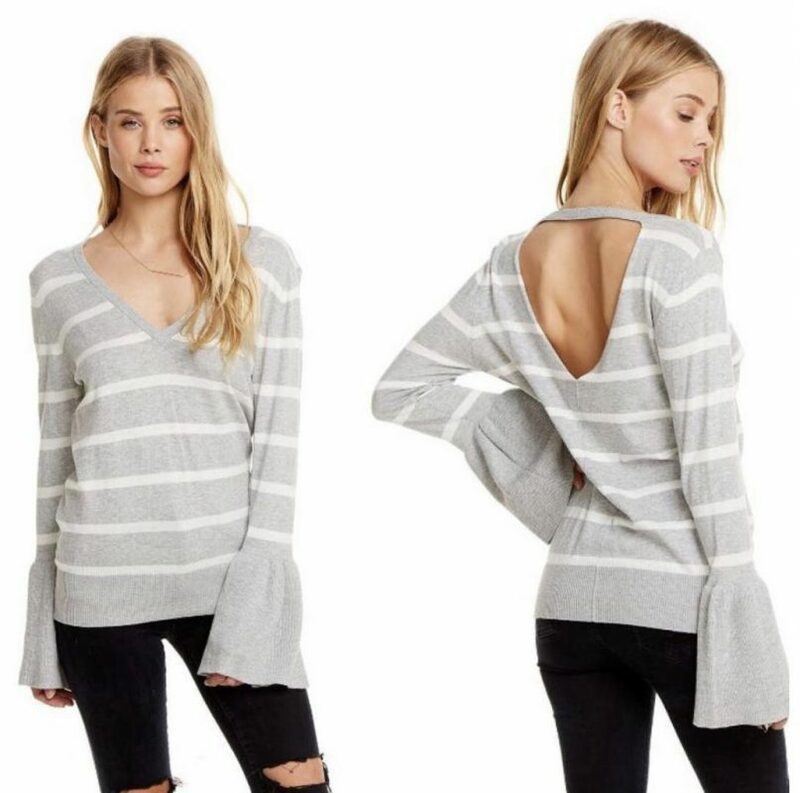 We’re all about our fall sweaters, and that goes double for this fun and flirty lightweight vent back V-neck peplum sleeve sweater from Chaser in gray with white horizontal stripes. This sweater is a playful, yet casual way to wear something a little warmer for the season. To top it off, the peplum sleeves add a whimsical and stylish element to your wardrobe. Pair with skinny jeans or leggings for the perfect fall look.